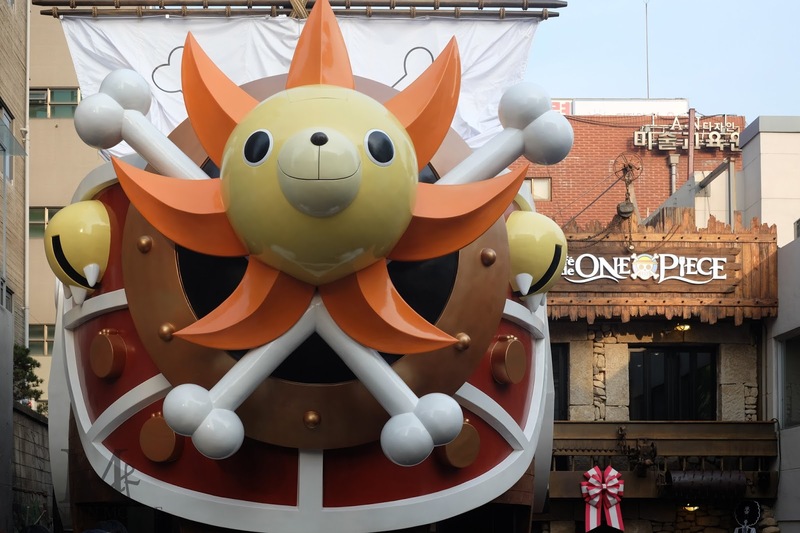 Another pirates ship anchored on Korea! 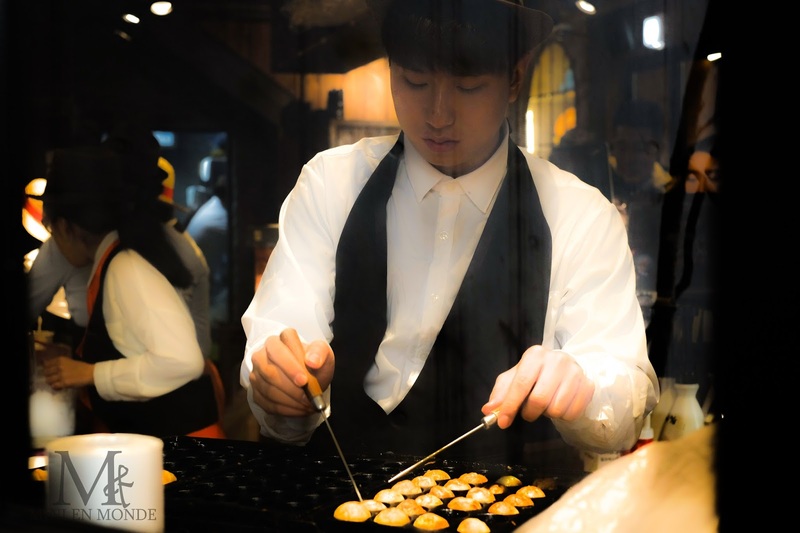 Yes its in Hongdae one of my fav place in Korea. 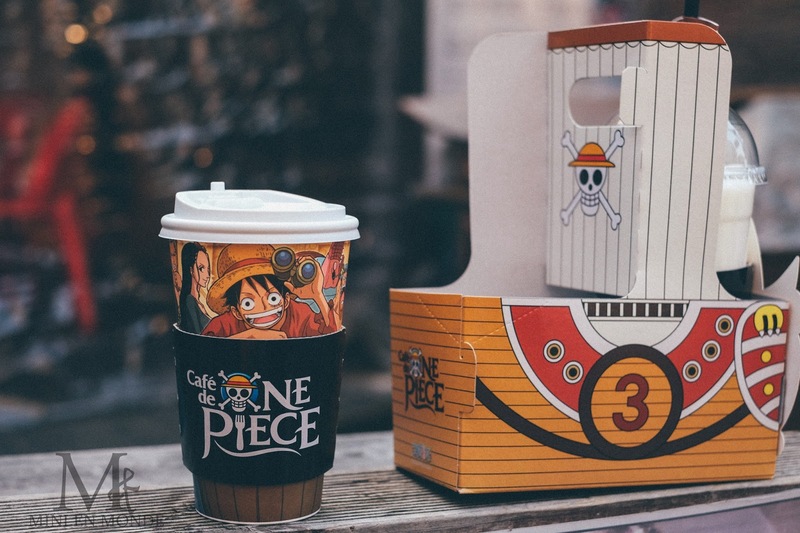 If you have read about my previous post about one piece anime cafe in Incheon here, this is another updates about one piece theme cafe in Korea. 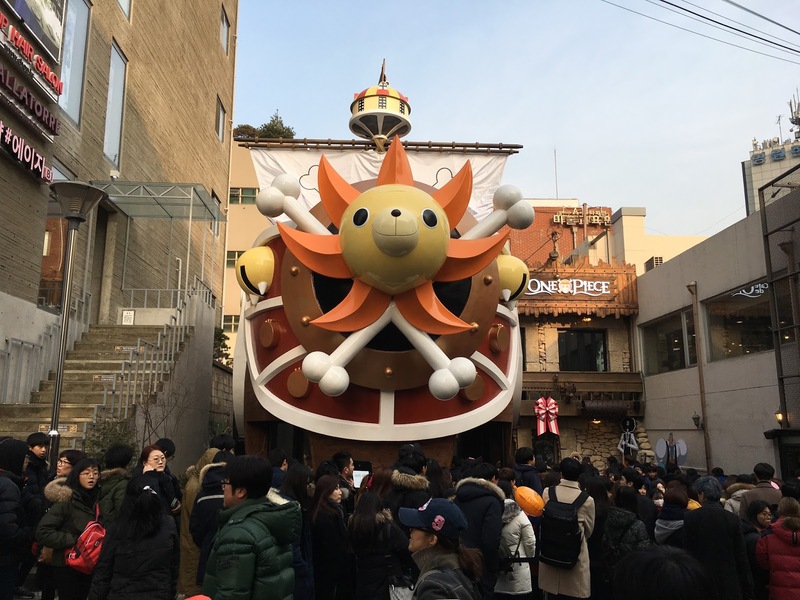 This one piece themed cafe was opened in December 21 2016. Its exterior design make it easy to recognize from afar. We wait more than 1 hour outside and almost gave up before realizing that we can order almost all the foods at the cafe and take away for eats at home. 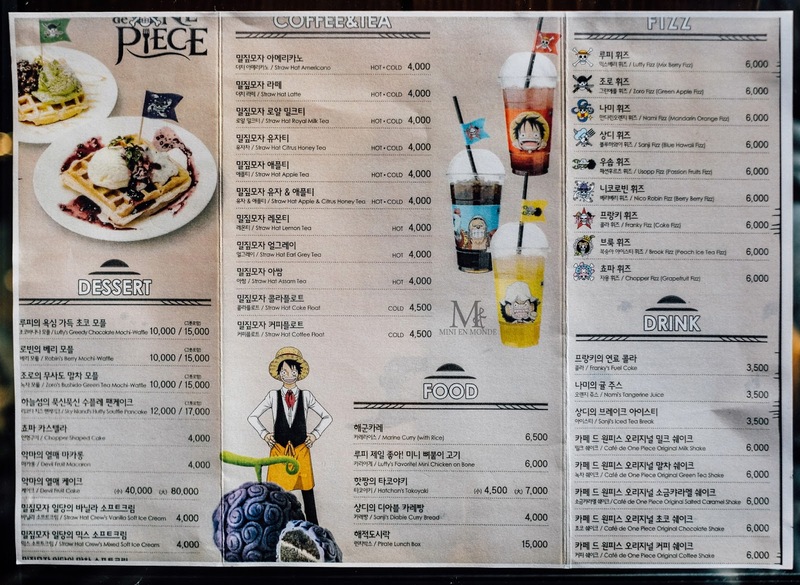 I really want to try the devil fruit cake and just order it without even look at the price list. silly yeah i know and found out that it was 40.000 krw yes 40.000! 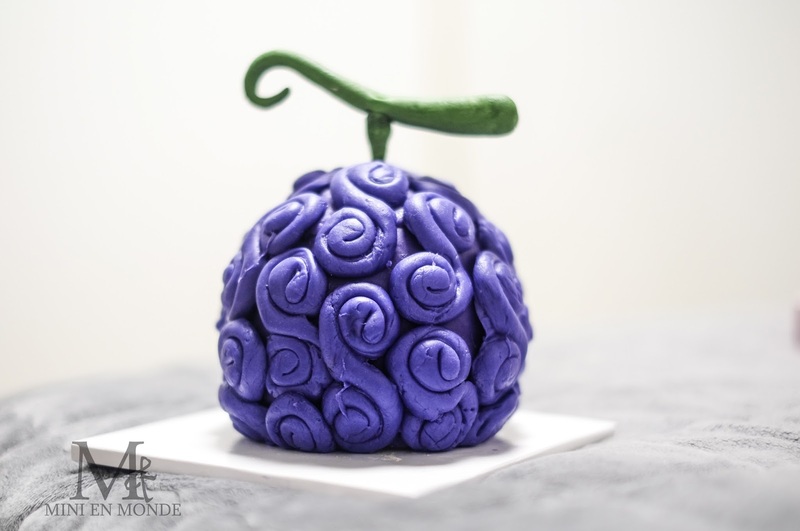 for the small size devil fruit cake and 80.000krw for the big one. All of the menu are not-so-ugh-expensive except this cake. 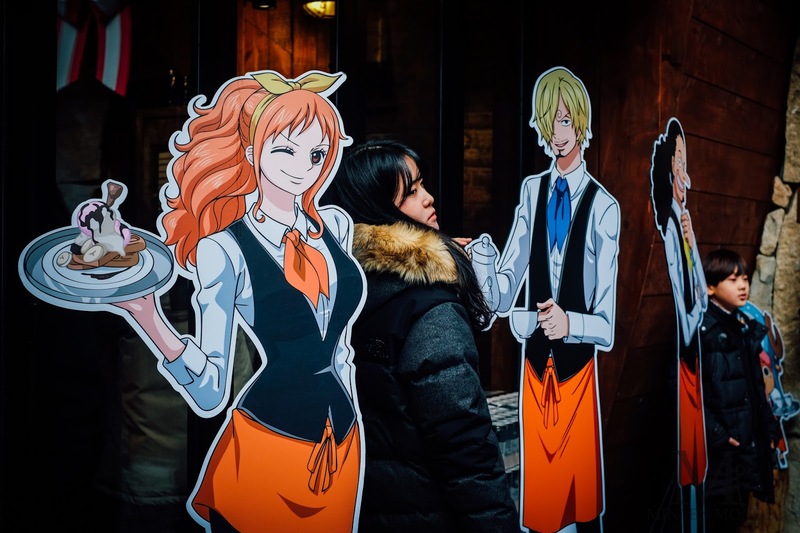 Even though im keep telling my self that i cant expect the way to much for the super cute or fancy anime themes cafe but for 40.000 krw cake in my own humble opinion it's not worth to try! 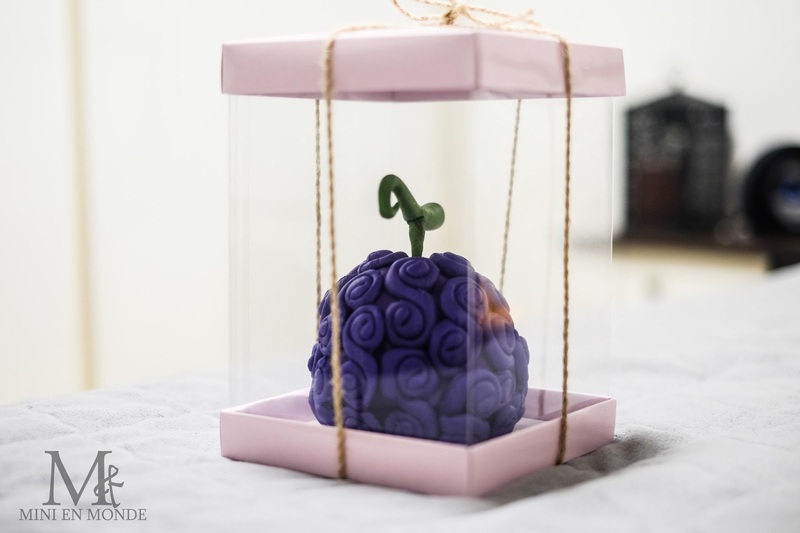 unless you can't resist the urge to own those devil fruits for your own. 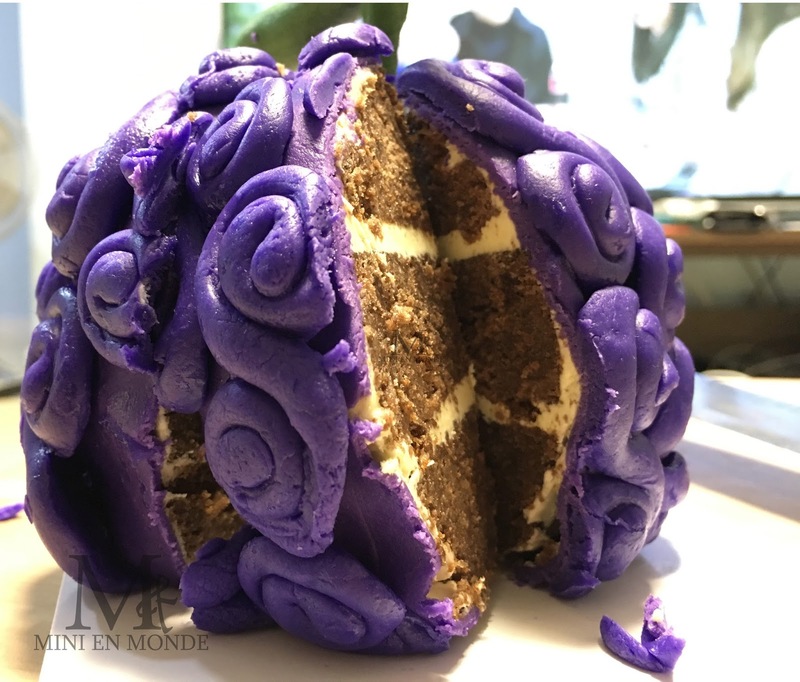 The outer layer made out of fondant was super duper sweet and overpowering the whole taste. The cake inside are super dry and only have thin spreadable butter. I'm so sorry to say that those was the worst cake i ever tried for that price. 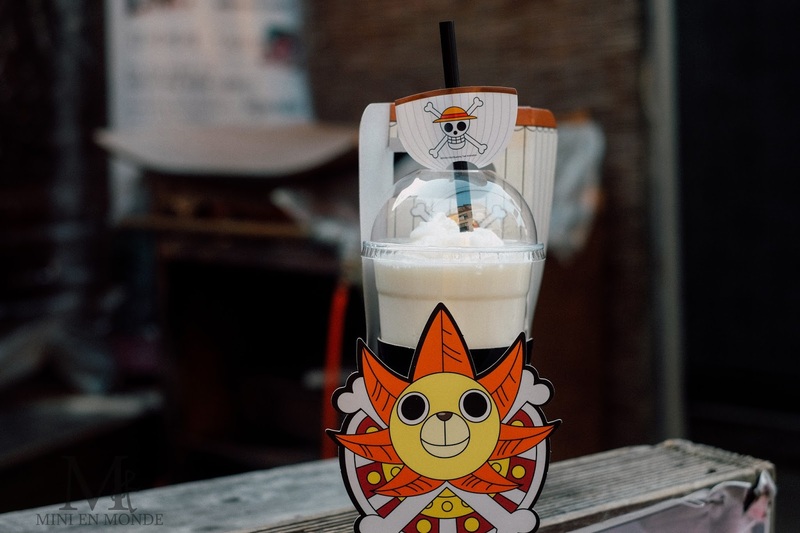 For the drinks and another snack you might want to tried it because the milk shake and latte are quite good. But again its my own personal opinion. 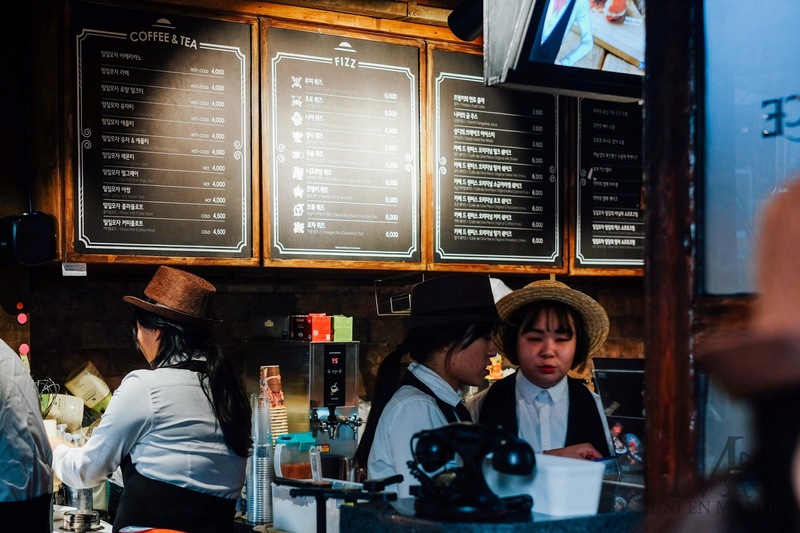 If you want to try this new theme cafe and dont mind having to wait to get into the cafe, you can try this one!